Frugal Family Fun. We share coupons, free stuff, games and movies. Family Product Reviews and giveaways. This project is fun and educational. Trip to the grocery store to get seeds! to get all the seeds you need for a bigger garden. Let the kids paint the tub if so desired. Dump in one bag of potting soil. working the fertilizer into the top few inches of soil. Now the real lesson begins! more than one type plant. over the top of the tub garden, around the plants. This will help you conserve water. let them trail over the side. They learn where food comes from. eat what they grow with no fuss. You are connecting them with the Green Life. a porch, patio or rooftop! 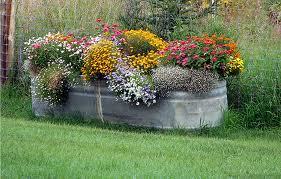 containers can be used for years! 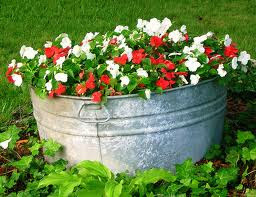 choose any old large container to re -purpose! and inspiring others to Go Green! Now you are teaching them to make a difference. Such pretty garden pictures. I want to try my hand at it this year! It is amazing what a little paint will add isn't it? Looks great. Thanks for visiting and I'm returning the love. I'm now following you and hope you can join me often now that you're following my blog also. Love this idea. My husband is the one with the green thumb, I just try to do upkeep! Thanks for stopping by and following me at Life or Something Like It. Following back. Oh those flower pictures make me want spring flowers here now! LOL!!! Thanks for stopping by the hop! I am returning the love! Hi! I'm your newest follower, here on the Tuesday Blog Trail from Six in the Nest. 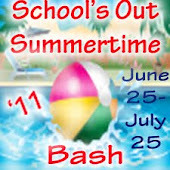 Come follow me at Weidknecht.blogspot.com! I think I just found my next weekend off project for me and my girls...Those are so cute. 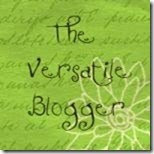 I'm your newest follower from the blog hop would love for you to stop by and follow me. Beautiful pictures! Can't wait to find a place of my own and be able to make a pretty garden. Found you on Wordless Wednesday's Blog Hop. Those planters are beautiful! I'm doing a mother's day project with potted plants and wish I'd read this sooner! I'm your newest follower from hop a little Tuesday! I would love it if you would "like" me on Facebook! Thanks for the follow! Stopped by to return the favor. Thanks for stopping by! 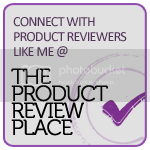 I am now following your amazing blog! Thanks for joining in on the Fun Tuesday Hop! Hope you have a great week, and hope to see you next week! Well done! I love this post Hugs! Thanks for linking up with our Frugal Friends Tuesday Blog Hop! I am following you from Adventures of a Thrifty Mommy! 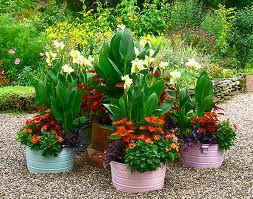 I really like the idea of reusing old containers for flower pots. What a great idea to get kids involved in the garden! Love this idea! Thank you for sharing! 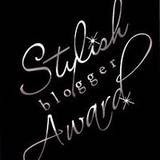 I just wanted to let you know I am giving you the Versatile Blogger award. Check out my page to get your award! New follower from the Middle Matters Blog Hop. 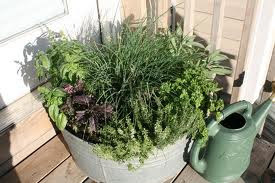 I LOVE this idea and might grab it for the upcoming (short) growing season in Alaska. I love this. How cool. What a great thing to teach kids too. Following back from the wed. blog hop. This is such a sweet idea. I will have to be on the look out for wash tubs! Those are just gorgeous!! I'm inspired to do something with my old tubs! I'm running behind but I wanted to stop by and thank you for joining the Tuesday Train! So, so sorry!! What a cool post. You have been stumbled. Thank you for joining the hop. checking you out from the blog hop! Hi! Great project!! I have to figure out how to keep the squirrels away, though, because last year they ate all our veggies and fruits! Thank you, and have a great week! You have been stumbled upon. Beautiful flowers, what a great project. Excellent, boy if i could I would get more into being green, I do try, but don't have as much time as I'd like. But I do love all things organic, and try my best to do everything organic first. Our Society doesn't make it easy though. But as my life has slowed down in my old age, I've been finding more time to get in the green of things. So I'm hoping that I can become as close to 100% green as possible. This is an awesome post and thank you so much for sharing. Thanks for stumbling me. I couldn't find the stumble button on your blog so I connected your site to my facebook. Actually I'm kinda new at the stumbling I just got it yesterday for the Makobi Scribe hop. Lovely photos and a great idea. Thanks for stopping by and linking up over at Tots and Me. I Stumbled your post, and am also following your blog. This is so neat! I can't wait until my little gets old enough to appreciate doing these kinds of projects. The washtubs made such good planters, and looked amazing with the blooming flowers, very cool! Hope you have a wonderful evening!! I love this idea!! Although my kids are grown. It is so pretty. Thanks. Such great pictures of some unique planters!! I love using quirky and fun things to plant things in too. This so cute and fun! I want to try it (if it ever quits snowing around here ). 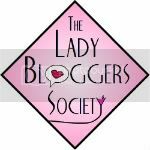 Stopping in from lady blogger blog hop. I'm following you now to see what else you come up with! AbsurdlyCool Freebie Finder -- Automatically find the best freebies online! Mom, DJ, Twitter Elite. Love living Green and Frugal.